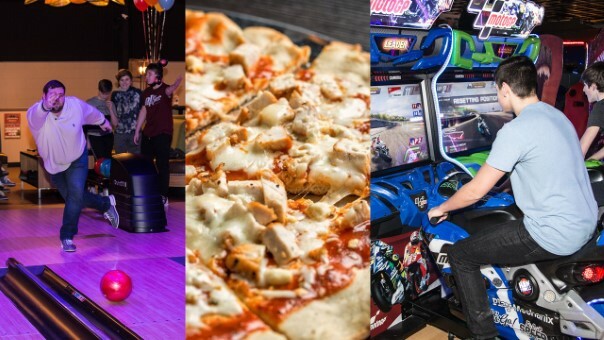 The Liberty Arena is Central PA’s ultimate destination for all things fun. We have sports and entertainment for the whole family and a full restaurant and bar. What are you waiting for? 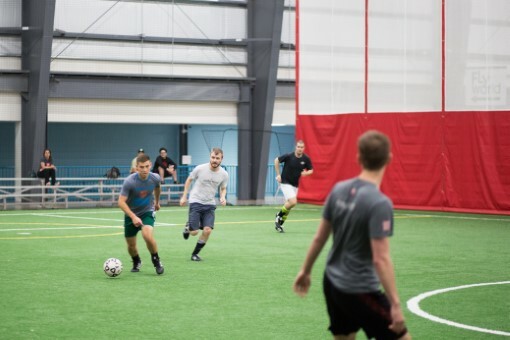 The Liberty Arena features 2 indoor soccer fields good for flag football, ultimate frisbee, baseball, softball, and of course, soccer. We also have pitching lanes and batting cages available for rent. Kaos Fun Zone is home of 4 great attractions that are fun for the whole family. 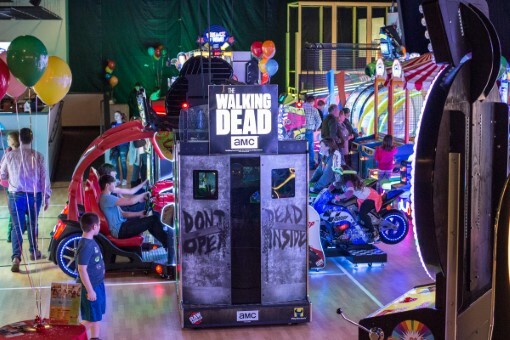 We have a trampoline park, laser tag, bowling, and a full arcade. There's something for everyone. 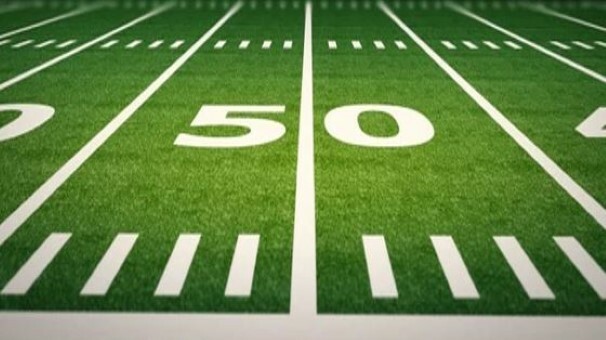 Scorz Bar and Grill is Williamsport's finest sports bar and restaurant featuring American cuisine and 15 HD screens which ensure you'll never miss any sports action each week. What’s better than unlimited wings? How about unlimited arcade play to go along with it. Every Wednesday at Scorz Bar and Grill is Wing It Wednesday. Get unlimited wings and unlimited arcade play for just $19.99 per person. Some restrictions apply. What are you waiting for? Click here to make your reservation now! As an added bonus, every Wednesday Fly World is also featuring a deal! For just $10 you can receive a 1-hour jump ticket. Come out to the turf for our pick-up soccer night. Have some fun, make some new friends, and keep your skills sharp. Price is $6/person. Games are organized on the fly each night. This is a great way to connect with other soccer people if you’re interested in getting involved in our leagues. There should be no QUESTion what your plans are on Thursdays! 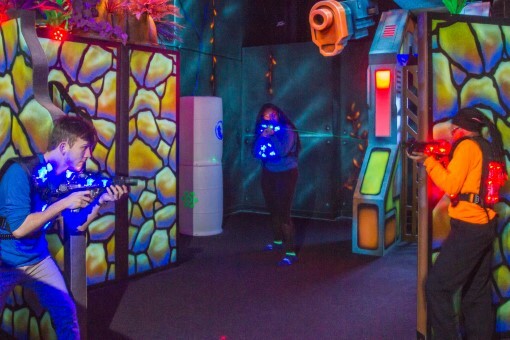 Laser Quest is offering buy one, get one free on all laser tag game tickets every Thursday. Join us for an NFL Draft party on Thursday, April 25. From 5-9 PM, we’ll be offering $2 domestic draft beers, $3 well drinks, and a 16″ classic pizza & 1 dozen wings for $24.99. Take part in our mock draft challenge – $5 entry free and winner take all cash prize! (Must be present to win). Must be entered by the time the draft begins, at 8 PM. Test your smarts every Thursday at 7 PM with Jon Mackey’s Quizzo – there’s pride and prizes on the line! Grab your spot early and take advantage of our Happy Hour of $2 domestic draft beers and $3 well drinks from 5-7 PM. Looking for Friday night plans? Make Friday FLY DAY with our weekly Teen Night from 8-10 PM. For $15 enjoy a 2-hour jump ticket, a bag of chips, and small fountain soda. 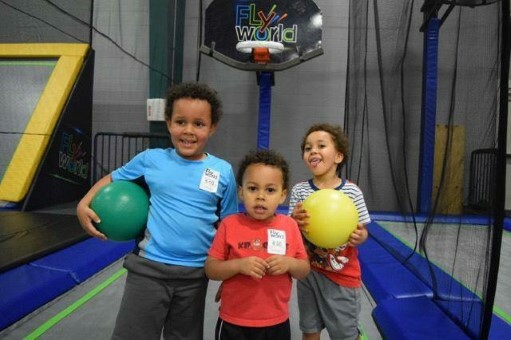 Have a youngster that’s curious about Fly World? Join us for Little Flyers every Saturday from 10-11 AM, which is specifically for kids 8 and under. All participants must be wearing jump socks and have a valid waiver. 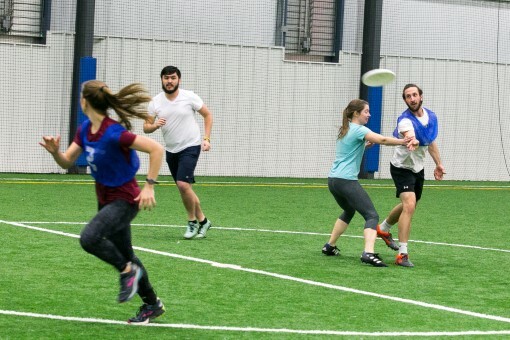 Pickup Frisbee is every Saturday from 7:00-9:00 pm. Double the points, double the fun! Enjoy double ticket value on all redemption games at Level Up Arcade every Monday.